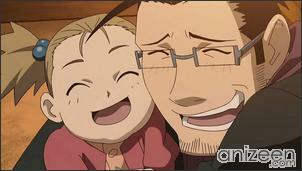 Born in the village of Resembool from the country of Amestris, Edward and Alphonse Elric live there with their parents. 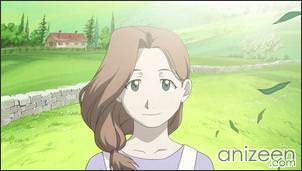 Their father, Hohenheim, leaves home for unknown reasons and years later, their mother, Trisha Elric, dies of a terminal illness leaving the Elric brothers alone. After their mother’s death, Edward becomes determined to bring her back through the use of alchemy, an advanced science in which objects can be created from raw materials. They research Human Transmutation, a forbidden art in which one attempts to create or modify a human being. 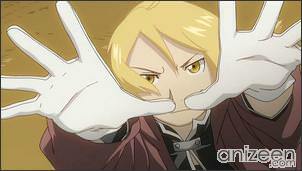 However, this attempt fails, ultimately resulting in the loss of Edward’s left leg and Alphonse’s entire body. 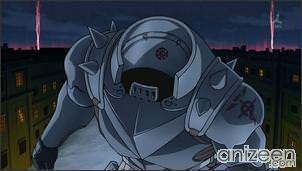 In a desperate effort to save his brother, Edward sacrifices his right arm to affix Alphonse’s soul to a suit of armor. 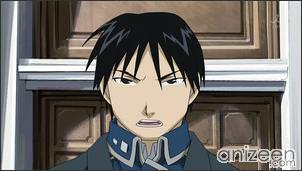 Some days later, an alchemist named Roy Mustang visits the Elric brothers, and he tells Edward to become a member of the State Military of the country to find a way to recover their bodies. After that, Edward’s left leg and right arm are replaced with automail, a type of advanced prosthetic limb, created for him by his close family friends Winry Rockbell and her grandmother Pinako. 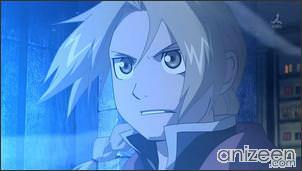 Edward sets out to become a State Alchemist, the same that infamously annihilated much of the neighboring country of Ishbal’s population in the past decade. Becoming a State Alchemist enables Edward to use the extensive resources available to State Alchemists, but it also turns him into what they call a “dog of the military”. 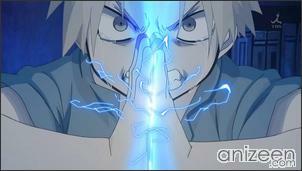 His more friendly relationship with Roy Mustang however, whom he reports to and who recruited him, allows the brothers freedom to search for the Philosopher’s Stone as part of Edward’s research, as each State Alchemist is expected to independently research new things which may be of a use to the State Military of Amestris. Full Metal Alchemist Brotherhood difers from the first series, mainly because when the first anime came out the manga was right in the middle. This new opening to the series introduces and sets into immediate action not only the main characters, Ed and Al, but also a substantial number of the important supporting characters. 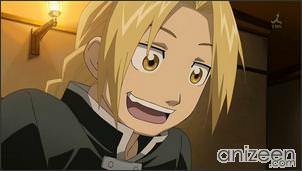 Edward Elric is the youngest State Alchemist in history. He and his younger brother, Alphonse Elric, scour the world in search of the Philosopher’s Stone in the hopes of restoring their bodies. Edward now employs the use of metal prosthetics known as Automail as replacement limbs. Edward harbors a sharp sensitivity to his short height. 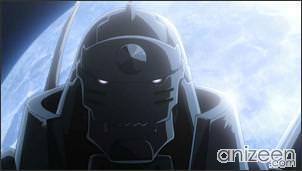 Alphonse Elric is the younger brother of Edward Elric, did not become a State Alchemist at the request of his brother. Unlike Edward, who lost one arm and one leg in the failed attempt to revive his mother, Al lost his entire body. 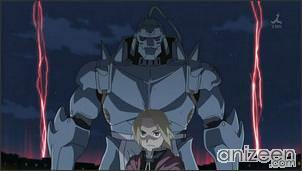 Because of his size and being a suit of armor, he is always mistaken as being the older brother and the Full Metal Alchemist. State Alchemist Roy Mustang, the “Flame Alchemist”, holds the rank of Lieutenant Colonel in the State Military at the start of the series, was initially a Colonel when first introduced to Edward and Alphonse. He aims towards becoming the next Führer of Amestris, heavily relying on the support of his loyal subordinates to propel him along that path. Mustang would find this path interrupted by the murder of his best friend and confidant, Maes Hughes, afterwards, beginning an almost behind-the-scenes investigation into finding the true culprit. 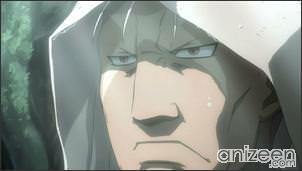 Hagane no Renkinjutsushi (鋼の錬金術師) is a Japanese manga series written and illustrated by Hiromu Arakawa. 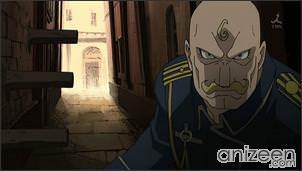 The world of Fullmetal Alchemist is styled after the European Industrial Revolution. Set in a fictional universe in which alchemy is one of the most advanced scientific techniques known to man. 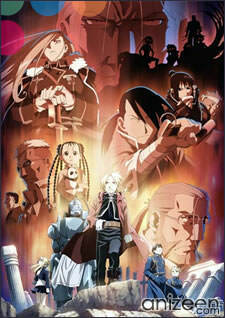 This is the second series for Arakawa’s manga, also known as Fullmetal Alchemist: Brotherhood. It first premiered in Japan on April 5, 2009. Ending Theme: “Uso” by SID eps 1-14; “Let it out” by Miho Fukuhara eps 15-26; “Tsunai Da Te” by Lil’B eps 27-38; “Shunkan Sentimental” by SCANDAL eps 39-50; “RAY OF LIGHT” by Shoko Nakagawa; “Rain” by SID ep 63; “Hologram” by NICO Touches the Walls ep 64.